This house recently appeared in House Beautiful. In Las Vegas, it's yet another interior inspired by Something's Gotta Give. On the front island, the Fairfax faucet and Undertone sink are both from Kohler. 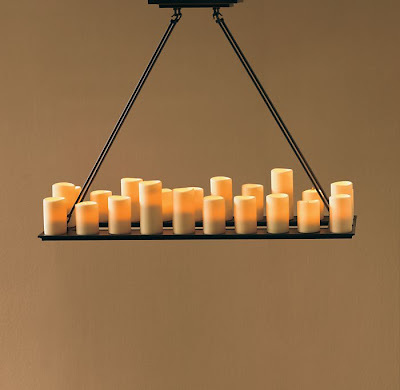 The Single Prismatic Standard hanging lights are from Urban Archaeology. The pillows on the banquette by the breakfast table are covered in Pondi, Patta, and Merpal fabrics by Malabar. 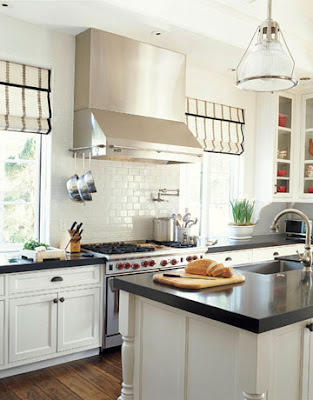 The kitchen and breakfast room are painted in Pure White SW 7005 by Sherwin-Williams. The pillows on the banquette by the breakfast table are covered in Pondi, Patta, and Merpal fabrics by Malabar. 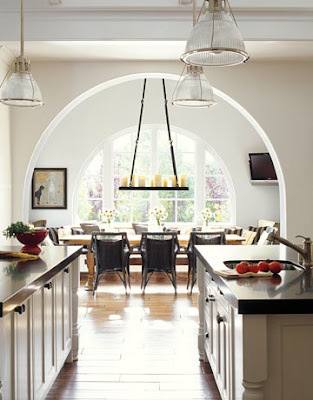 The kitchen and breakfast room are painted in Pure White SW 7005 by Sherwin-Williams. As a side note I LOVE that lighting fixture over the table. I spoke with Allan Knight and it is almost $5000... looks like I will be going with this number from Restoration Hardware.